Welcome to Episode 147 of HubShots! HubShots, the podcast for marketing managers who use HubSpot hosted by Ian Jacob from Search & Be Found and HubSpot Consultant Craig Bailey from XEN Systems. We’ve said it before, we’ll say it again: Google My Business is a wonderful free source of exposure and traffic. And it keeps getting better. Make sure you keep up to date with GMB and take advantage of new features early. 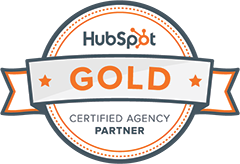 Content Strategy is now referred to as SEO with HubSpot Marketing! Re-enrollment triggers need to occur again in order for re-enrollment to happen. For example, if a re-enrollment trigger is based on list membership, a contact that remains in the list will not be re-enrolled in the workflow in an infinite loop after they are enrolled the first time. Instead, they will only be re-enrolled when they leave the list, then join the list again (i.e., their list membership is triggered again). Action item: Immediate thank you workflows should use specific form enrollment criteria. But a nurture sequence would probably be fine to use a list membership. Integrate YouTube into your HubSpot Marketing Enterprise account. It will enable you to report on the success of your YouTube videos alongside the rest of your social networks. See how your audience is engaging with your content, and how your videos are performing over time. Out of the HubSpot box, if you embed a YouTube video on a blog, landing or website page it does not make it responsive. To make a YouTube video responsive, you need to add the given CSS code to the stylesheet applied to your site. People are on a journey from research through to purchase. However, everyone is on a different timeframe for their journey, so you can’t nicely shoehorn people into a time-based campaign. Example: you are planning a conference – you’ll promote awareness of it, consideration and then push for purchase. It can be tempting to think that people will all enter at the awareness stage and then neatly move through to purchase. However, your campaigns need to accommodate all stages at all times. Some people will be ready to purchase on day 1. Others will cycle back between research and consideration before they want to move forward. Action item: make sure your marketing messaging includes options to cater for this. Although each content piece should have one key goal (which would typically match your main CTA), there should usually be other options for those who in another stage. Example: a conference awareness email might have a main goal of pushing people to the website to learn more. However there could also be an option straight through to purchase for people who are ready. They are ‘retiring’ certain types of ads. It’s all about a better ad experience. LOL. Okay, so what’s actually changing? A new property, “Likelihood to Close,” has been added to all your HubSpot contacts. Any contacts that have not yet closed as customers will have a value between 0 and 100, which represents their percent to close. This percentage is calculated using a slew of information about the contact, its associated company (including enriched HubSpot properties like employee size and industry), and engagement data from HubSpot CRM and HubSpot Sales Hub. Another property, “Contact Priority” has been added to all your contacts. This property groups contacts into four buckets, based on their “Likelihood to Close:” very high, high, medium, and low. Previously, this property used the categories, “Tier 1, Tier 2, Tier 3, and Tier 4”, and we’ve updated the labels for clarity based on user feedback. With the improved model behind “Likelihood to Close,” the existing properties “Predictive Lead Score” and “Lead Rating” will no longer update starting in the near future — the specific date is still to be determined, and we’ll update this post as soon as it is. For the short term, this property will continue to exist in your portal with historical scores. Another reminder to be reviewing your content – always good for this time of the year.